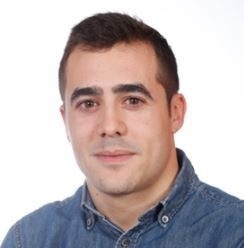 Oriol Alba has a degree in International Business, degree in Business Science, Master degree in International Relations and Master degree in Digital Marketing. Oriol is the Project Manager of Reempresa, the business transfer marketplace for SMEs in Catalonia. Launched in 2010, Reempresa is supported by the Catalan Employers Association (Cecot) and the Private Foundation promoting self-employment in Catalonia (Autoocupació). It is co-financed by the Catalan Government and the European Regional Development Fund (ERDF) from the European Commission. This initiative works as a non-profit Public Private Partnership and its scope of action is Catalonia. Since 2011, Reempresa has intermediated more than 1.600 business transfers that saved more than 4.400 direct jobs and generated more than 69 million euros of investment. In 2017, Reempresa won the European Enterprise Promotion Award from the European Commission as the best project in the category “Improving Business Environment”.